Since the passage of Prop 64, it’s hard to keep up with the changes to our state’s cannabis rules. California’s scrambling to catch up with legalization deadlines while different groups lobby for their own interests. There’s so much occurring it’s easy to forget massive changes are also happening at the federal level–that’s why we’re tracking them for you! Federal alterations cause huge impacts on the local level. 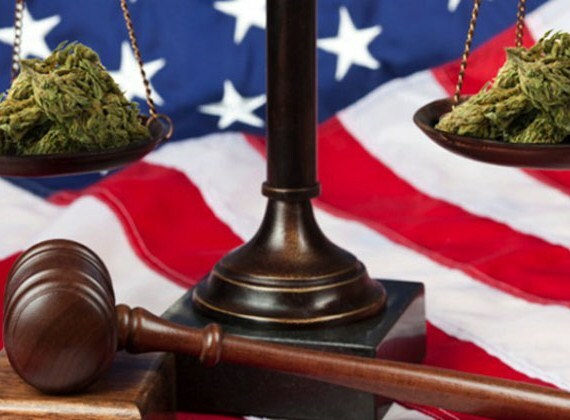 A great example: the recent court ruling restraining the feds from enforcing federal cannabis laws in legal states. These limits imposed by the ruling are completely dependent on the Rohrabacher-Farr Amendment passage with the budget each year. If it isn’t continued, the court’s ruling is unenforceable. You’ll read more about that later. 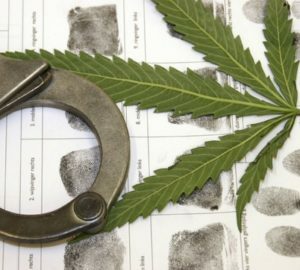 Is the Federal Government Intentionally Keeping Cannabis Illegal? 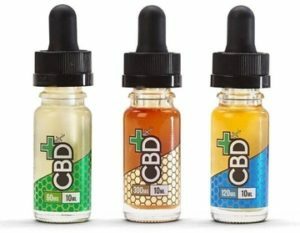 The World Health Organization (WHO) has issued a preliminary report stating that, as far as they can tell, CBD has no significant negative side effects or addictive potential. This report doesn’t include the same glowing conclusions for other cannabinoids like THC. In fact, it seems to emphasize their opinion of THC’s addictive dangers and includes a detailed analysis of possible manufacturing methods for converting CBD to delta-9-THC and delta-8-THC (see page 10 of the report). It should be noted that the possible process to manufacture THC from CBD is much more complicated than simply growing it. Still, the WHO’s report shows profound progress towards accepting cannabis as medicine despite our federal government’s recent backsliding toward CBD. Technically, the federal government passed a law leaving legislation and control of CBD in the hands of the states (see Section 7606 of the 2013 Farm Bill). However, they’ve recently been broadcasting a rather jaundiced view of CBD providers and products, including Charlotte’s Web producer, CW Hemp. In fact, Target removed CW Hemp’s cannabis oil products shortly after the feds issued a statement reiterating their stance on CBD’s status as a Schedule 1 drug, right along with cannabis’ psychoactive components. The federal lawsuit challenging the legality of cannabis as a Schedule 1 drug (Washington et al v. Sessions et al 1:17-cv-0562) still hangs in the balance. It’s standard procedure for defendants to make a motion to dismiss as their first course of action, and this motion hasn’t been decided. These days it’s difficult to understand why a lawsuit is even necessary; even the World Health Organization admits cannabis doesn’t meet the standards for such a classification. In Louisiana, this crawfish theft law imposes up to ten years in prison with or without hard labor. In Illinois, you must ride a bicycle with at least one hand on the handlebars at all times. It’s no surprise our drug laws must face decades of lobbying and lawsuits to catch up as well. Thus far, the federal government has filed a motion to dismiss, and the plaintiffs have filed an objection to the motion. The judge in the case, Judge Alvin K. Hellerstein, has also denied a motion for a temporary restraining order based on his assessment. To him, the request doesn’t meet the standards for such an order: likelihood of success on the merits; a likelihood of irreparable harm in the absence of preliminary relief; the balance of equities tips in the party’s favor; and an injunction is in the public interest. This doesn’t bode well for swift movement in the case. Most lawsuits challenging cannabis’ illegal status take several years. Of course, if the federal government decides losing is possible, it could simply move cannabis to a Schedule 2 or 3 drug rather than deschedule. In fact, a bill was submitted to do just that. Yet that doesn’t mean cannabis will become easier to legally access; it could actually become harder. To test that theory, attempt to buy an asthma inhaler without a prescription. One could argue a drug’s listing in the Controlled Substances Act only affects its street price, not its availability. If making a substance illegal really did make it less available, would we have a massive opiate crisis? The only thing scheduling likely affects is who’s profiting and if taxes are being paid. So the federal government’s convoluted reasoning behind maintaining cannabis as a Schedule 1 drug is becoming incomprehensible. The only motivation that seems to make sense: it’s simply more profitable to keep marijuana illegal. Or, maybe the feds simply aren’t ready to cash in on Patent US6630507. For those doubting the federal government’s motivation to control the trade of scheduled substances, here’s a not-so-subtle reminder from the Afghanistan war. This fluffy Fox News piece attempts to explain why the government allocates our federal taxes and defense budget to patrol and protect Afghani poppy fields. What it attempts to skim over is that Afghanistan is responsible for producing 90% of the world’s heroin–which ends up on our streets. Of course, in the case of weed, some of those involved in its illegal trade are possibly saving people from opiate addiction, in addition to reducing seizures due to epilepsy, nausea and vomiting relief during chemo and dialysis, and relief from PTSD (some sufferers being veterans from the war in Afghanistan). It’s the very definition of irony. 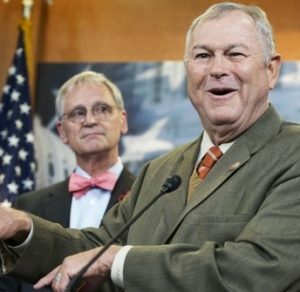 The Rohrabacher-Farr Amendment, now known as the Rohrabacher-Blumenauer Amendment, must be renewed with every new budget to remain in effect. It’s been in effect since 2014, with each new vote carrying a bit of its own drama. But this year, things are getting particularly dicey. If the amendment isn’t re-approved in the new 2018 budget, the federal government will once again be free to allocate federal funds toward enforcing federal marijuana laws in states where medical use, or even recreational use, is allowed. As Congress continues to dicker over the budget, the amendment only has a reprieve until December 22, 2017, meaning those who could face federal prosecution, despite their compliance with state law, are sitting on pins and needles. 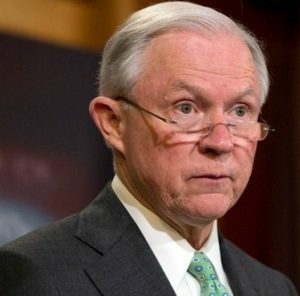 After all, Attorney General Jeff Sessions has consistently made it clear he has no respect for the plant’s medical value. To make matters worse, the House Rules Committee has blocked several different amendments that would ease federal restrictions. What does this mean for California cannabis patients and recreational users? If the amendment dies, the federal government could ramp up its war on marijuana again, placing a chilling effect on state access. Lawmakers in most jurisdictions choosing to ban cannabis activity often site that the plant remains illegal at the federal level. One must also consider there may be another motive for legislators and enforcers pushing back against our progressive cannabis victories. According to a recent Sacramento Bee article, many of the illegal grows employ Chinese, Russian, or Mexican nationals. Considering our nation’s current xenophobic state, such resistance to the amendment could be aimed more at “sanctuary states” than cannabis. 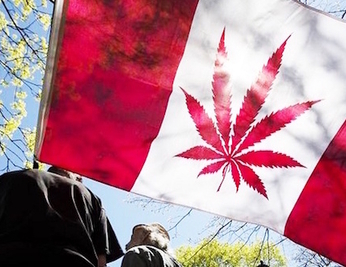 It looks like Canada will be beating us to the nationwide legalization punch. Following a disagreement in which the provinces refused to accept a 50/50 tax split with their federal government, the provinces agreed to accept a 75/25 split–their logic being they’d be forced to bear the brunt of enforcement costs. They expect to be ready to legalize the plant by June 2018. As you can see, these changes are taking place at an amazing pace. It almost feels like if we take the time to blink, we could miss an important piece of news. We’ll keep track of this crazy hurricane of change so you don’t have to. Check back with us often to see what’s new.